India's telecom regulator has invited comments from mobile operators and other concerned parties in a bid to evolve a policy framework to reduce the carbon footprint of India's telecommunications services. There are currently about 3,10,000 mobile towers in India of which about 70 percent are in rural areas, the Telecom Regulatory Authority of India (TRAI) said on Thursday. As the power supply in some rural areas is inadequate, about 40 percent of the power requirement of towers in these areas is met by grid electricity and 60 percent by diesel generators which produce carbon dioxide. TRAI cited industry estimates to conclude that the total consumption of diesel for telecom tower equipment powering and cooling is about 2 billion liters annually which produces about 5.3 million liters of carbon dioxide. With the continued growth of the mobile subscriber base in India, these numbers are likely to increase, bringing into focus the need to use renewable energy sources, it said. TRAI should integrate the environment impact into the overall regulatory framework for mobile operators, and should be given more powers by the government on this issue, said Abhishek Pratap], a climate campaigner at Greenpeace India. Telecom operators benefit to the tune of 22 billion rupees (US$478 million) annually from the Indian government's subsidies of diesel fuel, Pratap said. This amount should be used instead by the government to provide incentives to telecom operators to use renewable energies such as solar and wind power, he said. 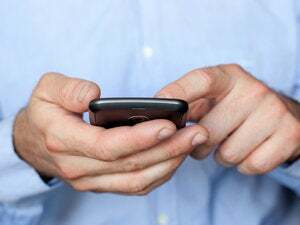 Indian mobile operators currently spend about 64 billion rupees on energy costs, after the 22 billion rupees diesel subsidy, according to Greenpeace. A large component of this cost is on diesel, because even in urban areas, operators use a lot of diesel because of frequent electricity cuts, Pratap said. Indian operators are also using old and inefficient equipment to cut the capital costs they would incur buying newer energy-efficient gear, he added. Cutting down on energy requirements makes good business sense for mobile operators and other service providers, TRAI said in a consultation paper. The move from diesel to solar and other alternate sources of energy will result in savings of $1.4 billion in operating expenses for telecom tower companies, it said. Going green has become a business necessity for telecom operators with energy costs as large as 25 percent of total network operations costs, according to TRAI. A typical communications company spends nearly 1 percent of its revenue on energy, which can run into millions of rupees for large operators, TRAI said. The regulator is also attempting to evolve a carbon credit policy that will prove to be an incentive to operators. Greenpeace does not favor a carbon credit policy as a long-term solution, as it will not reduce carbon emissions, and in effect will give buyers of these credits the license to pollute, Pratap said. The industry will realize the cost benefits of going green, if they overcome their initial worries about capital costs, he said. If TRAI regulates and provides some incentives, operators will start adopting green technologies, he added.